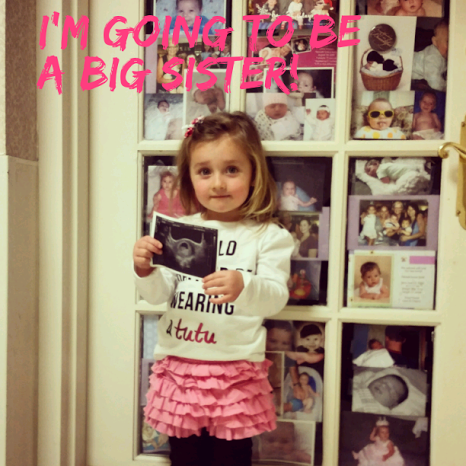 Pregnancy Take 2! Mo babies, mo problems. The countdown is on, and in these last few weeks (and for the last few months for that matter) I have been increasingly aware of my limitations. 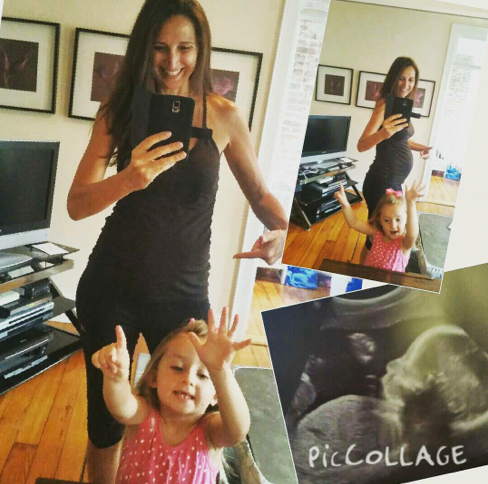 As mentioned this previous posts this pregnancy is SO much different (and more difficult) than my first. So, it was a bit of a rude awakening this go around. I was thinking, “Pregnancy? No problem! I’m a pro. I’m made for this!” Well, perhaps I was a bit too cocky, and the powers that be decided to bestow upon me the realities of pregnancy that most women deal with, because this go-around is FAR from easy. Now, don’t get me wrong, thank God I had no serious complications or problems, but I have felt this pregnancy for the last 9 months. From waves of nausea early on to ongoing side effects like shortness of breath, heaviness and pressure (also low lying placenta which fortunately receded up), to some serious debilitating leg and foot cramps (ouch) and, oh, and let’s not forget that ever increasing back pain, this baby has made me well aware that pregnancy is no walk in the park! I also got much bigger, much faster (although thank you to all who say I look “so cute” or “amazing”, and yes, my standard response is still, “I wish I felt that way!”) I probably surpassed how big I was with Aria at about month 8, and sleeping and doing ANY sort of real activity has become trying (at best). I’m also definitely more crabby (when I suffer, we all suffer! ), and more emotional. When Aria cried going off to school the other morning, I cried with her (oh, silly mommy). I had to remind myself that she’s 4, and I’m pregnant, so it’s all OK.
I’m also not sure if it’s a boy vs girl thing, but I’m hoping that since Aria was so easy in-utero and then a tougher baby early on (colic, gas, etc), that means this one is going to be saintly when he comes out. I’m kinda counting on it. So, Miss. 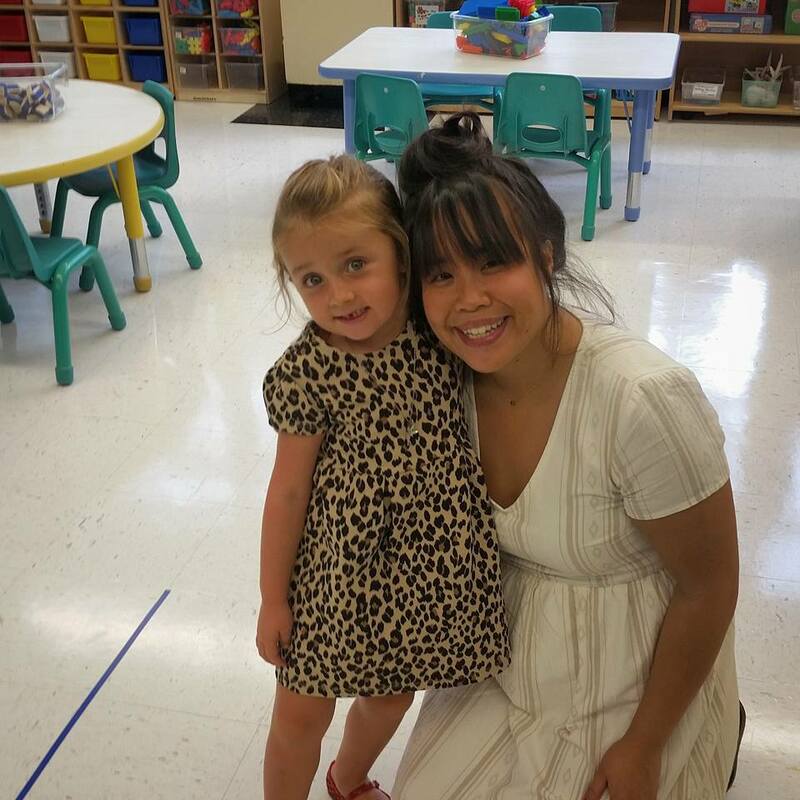 Aria started pre-k last week at one of the city’s public schools. 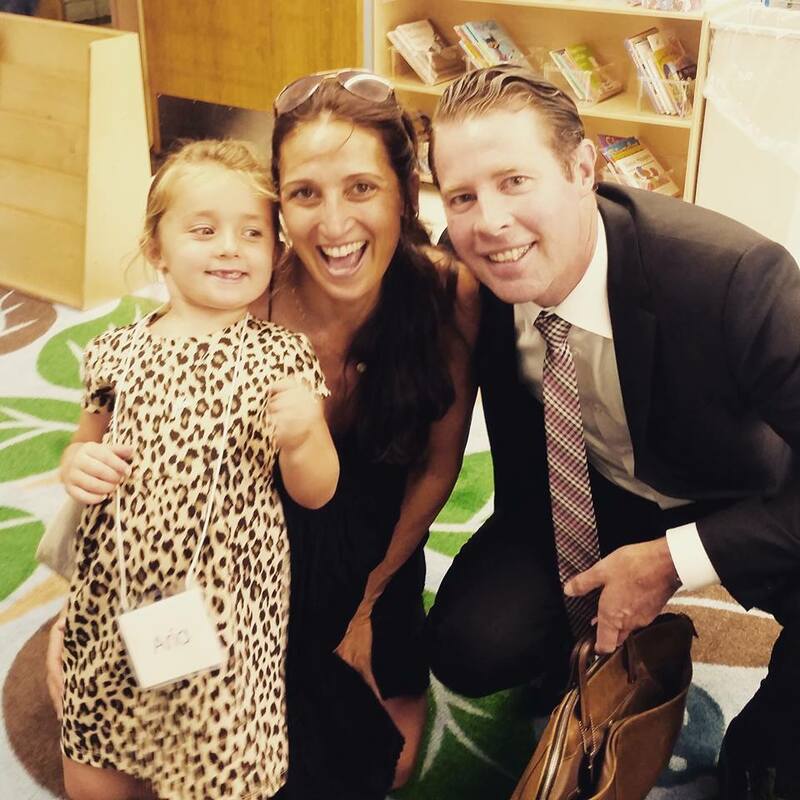 We were extremely lucky to get a lottery spot at our school of choice, and her first days were a huge success. When I applied for Universal Pre-K last winter, the thought of her going to school full time was a bit daunting. Was my little one really ready for school 5 days a week all day long??? I now am so thankful that I went ahead with the process, and that she is in school full time. She is beyond ready (amazing how much 3 year olds can change and grow in a short 6 months), and I know school is the perfect place for her to grow her curious mind. She’s always looking for a challenge and so incredibly bright, and I’m sure this will only foster her incredible love of learning, and strengthen her foundation for future success. Not to mention, I now realize the timing of it was all perfect (thank you Universe), as our next little one is expected at the end of October. Fully pregnant, I now have a little breathing room to prepare, and am also freed up to invest just as much time and energy into him when he arrives (Mommyhood take 2!). Although, perhaps if I planned it better, I would have waited a few more months to get pregnant, as I’m totally reveling in the leisure of having some freedom again. Aria couldn’t have been more excited or ready on her first day of school. Her dad and I walked her over, while she skipped ahead most of the time, all smiles and fully excited for the experience. We had prepped her, encouraging her in the weeks leading up, chatting about the new adventure and how much fun she was going to have. Indeed she absorbed all our encouragement, seemingly having no issue entering a new place, practically waving us off before we even entered the classroom that first day. 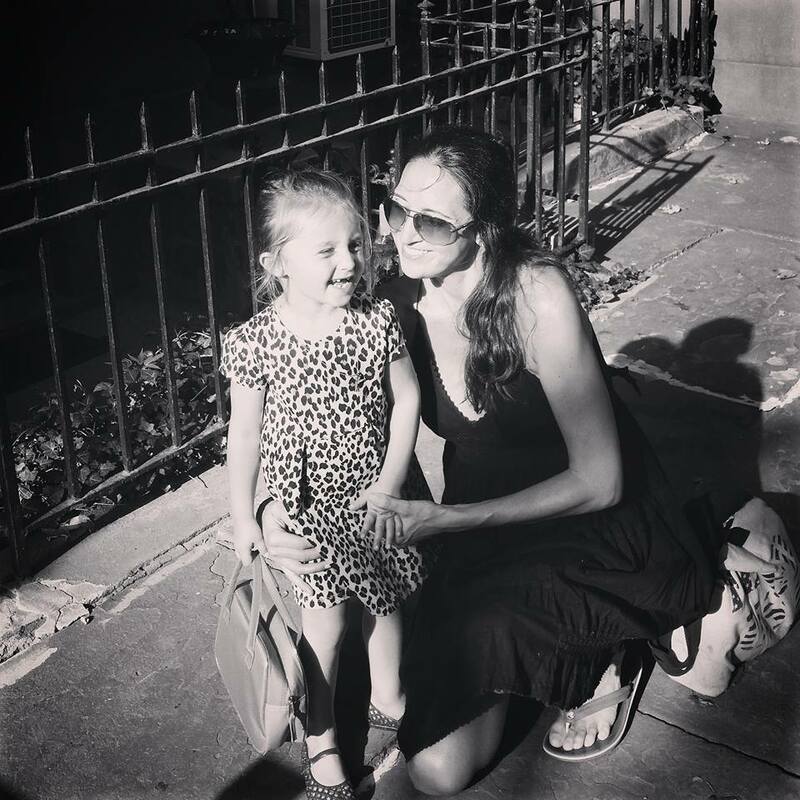 She humored me on the way to school, allowing me to take multiple pics of her in her cute little leopard print dress and red jelly shoes, but once we arrived it was quite clear she was indeed Little Miss Independent. It wasn’t until her third day in (which was really her first full day), that she even shared the slightest bit of dismay in her day. While recounting the school day on our drive up to our weekend house, she informed me of all the things she had done and accomplished. She was particularly proud of her picture of the panda she had drawn, and the new songs she had learned. It was only after I asked about “rest time” (wondering if she indeed did rest), that she shared it had been the only tough part of her day.I wasn’t super surprised since naps are usually off the table these days (and often bedtime is not embraced by my girl). And there it was. Her first teary moment, which, of course, lead to my first teary moment. Choked up and eyes brimming as I drove up the West Side Highway, I realized that my girl wasn’t all independent after all. My heart ached a little bit, thinking about her alone and teary eyed under her soft orange blanket. I then replied how that was OK to feel sad, reminding her how new things can be hard and how sometimes we all need a little cry. Then without missing a beat, she replied happily, “but then rest time ended and I got to play on the playground!” And that was the end of that. After all, in the end, I guess the playground trumps all. Hey everyone. Aria here– taking over my mom’s blog for a minute since she keeps delaying telling you all the biggest news of MY life!! While she’s writing about yoga and all that healthy stuff (C’mon this is a mom blog, right?? ), I’ve been telling everyone on the street and everyone I meet, that….. Yes, my lifelong wish has finally come true! Thank God I finally learned to type (toddler apps are amazing these days, huh?) so you all can be in the know too. I’ve been asking for this day after day for the last year, and finally my parents decided to cooperate (persistence does pay off!). So, yes, I’ve got a little brother coming. This first pic is a few months old, but isn’t he cute? I’m working on a dog next. Oh, and a baby sister. Stay tuned!